With only three games in the Euroleague Top 16 being played out on Friday night, you may have been forgiven that the action and excitement from the week had already passed. This wasn’t the case and even if the games were limited in quantity, there was nothing low about the level of quality on offer from the Friday night games. This was an absolute rout for the team from Spain who had seven players in total grabbing double figures in this match. Real Madrid set a Top 16 record with 18 three-pointers in the game. The Spanish giants were in control by 34-57 at half-time and then in their third quarter they extended the lead to 29 points. The gap was so big that even though the Turkish side managed to go on an 18-0 scoring run, the Spanish lead was never in any danger. This win moved Madrid on to an 8-1 record in the Top 16 while Galatasaray dropped to a 7-2 record. Andres Nocioni picked up 16 points, Jaycee Carroll offered 15 points, Gustavo Ayon and Sergio Rodriguez provided 14 points, Felipe Reyes offered 11 points and Ioanniis Bourousis rounded out the Madrid double figure players with 10 points. Madrid also grabbed 29 assists in the game, which was one short of the Top 16 record. Galatasaray were boosted by Patric Young offering 19 points while Ender Arslan offered 17 points and Kerem Gonlum offered up 15 points for the losing home side. This away win moved the Greek side on to an 8-1 record and there is a chance that Olympiacos could clinch their play-off spot next week. Milan moved on to a 2-7 record and they are now up against it to clinch a play-off spot. Vassilis Spanoulis grabbed 14 points, as did Othello Hunter for the winners, while Georgios Printezis provided 13 points. Bryan Dunston offered 12 points while Tremmell Darden grabbed 10 points for the winners. The hottest player on the court with respect to points was Alessandro Gentile who offered up 24 points while MarShon Brooks provided 17 points for the losing home side. 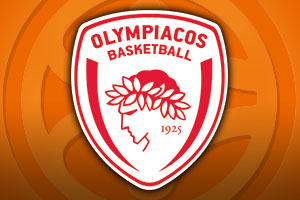 Milan pulled close at times but Olympiacos led by 32-42 at half-time and then by 56-66 deep in their third quarter. A solid defensive showing and the usual high standard of play from Dunston and Printezis ensured that the Greeks ran out comfortable winners in the end. Ryan Toolson provided the play of the week in the Euroleague as he sank a difficult three point shot with 0.8 seconds left on the clock. This prevented the game from heading into overtime and moved the Spanish side on to a 2-7 record. This means that there is some life left in the Euroleague hopes of Malaga while their Turkish opponents will be gutted about dropping to a 4-5 record that sees them sharing fourth place. Thomas Huertel grabbed a three pointer with less than 6 seconds on the clock to level the game and if the Turkish side thought that overtime was looking, they perhaps took their eye off the ball for that split second. The match winner Toolson managed to finish with 25 points while Jon Stefansson offered up 15 points for the winners. Mindaugas Kuzminskas was a key man with 13 points, 8 rebounds and 4 assists while Jayson Granger netted 10 points with 5 assists for the home team. Heurtel provided 20 of his 23 points in the second half, while Nenad Krsitc collected 14 points and 9 rebounds for the losers who were also boosted by Dario Saric and Furkan Korkmaz grabbing 10 points each.